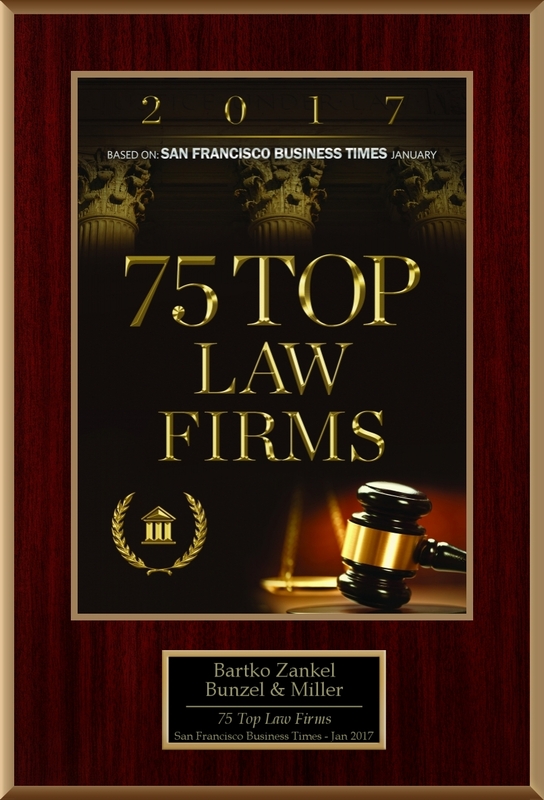 BartkoZankel has extensive experience litigating real estate disputes of all kinds on behalf of property owners, landlords, tenants, developers, property managers, brokers, real estate investors, real estate partnerships, REITs, mortgage banks, lenders, borrowers and guarantors. Over the past forty years our firm has litigated countless real estate disputes through trial and appeals. We are well-versed in the tactics and strategies employed in high-stakes real estate litigation and apply the weight of our expertise to each real estate dispute we litigate. Grand Prospect Partners L.P. v. Ross Dress For Less, Inc.
(Tulare Superior Court and California Court of Appeal). Defense, trial and appeal of claims against national retailer for breach of commercial shopping center lease based on allegations that negotiated co-tenancy clauses are unenforceable. J&R San Francisco Inc. v. Fondahl, et al. (San Francisco Superior Court and California Court of Appeal). Represented seller of real property in trial and appellate courts against contract and tort claims made by a buyer alleging non-disclosure of material information regarding an easement. Old Republic National Title Ins. Co. v. Carjo Properties, LLC, et al. (San Francisco Superior Court). Successfully defended a $3.3 million claim for fraud and breach of contract by a title insurance company against commercial property sellers by obtaining a dismissal before trial with the plaintiff recovering nothing. (Riverside Superior Court). Defended real property seller who had terminated an option agreement against contract and tort claims made by a developer. All claims were dismissed as a result of a settlement six months after the litigation commenced. John Doe v. Stanford University, et al. (San Francisco Superior Court). Defended university against premises liability claim in a jury trial with multiple defendants. Case settled on favorable terms after two weeks of trial. Pomilia, et al. v. Chapman, et al. (Marin Superior Court). Defended directors, officers and majority shareholders of a mortgage bank against breach of fiduciary duty claims made by minority shareholders alleging $30 million in damages. Case settled and all claims were dismissed shortly before trial. Berberian Properties LLC v. Commercial Retail Associates Inc.
(Fresno Superior Court). Prosecuted claims for breach of fiduciary duty and fraud on behalf of commercial property developer in Fresno against a real estate broker. Obtained a settlement for client shortly before trial. (U.S. District Court, San Jose). Successfully prosecuted claim for extra work and delay damages by subcontractor on NASA project, while defending against claim that subcontractor caused chiller plant failure leading to damage to NASA’s supercomputers. (Alameda Superior Court). Successful defense of utility/general contractor on fiber optic cable construction contract from claims of defective work and breach of contract. Verges v. DDR Real Estate Services Inc.
(Contra Costa Superior Court). Prosecuted breach of contract and fraud claims for a real estate investment trust against a property management company entrusted with managing and selling a portfolio of 60 shopping center properties. Obtained favorable settlement after two weeks of trial. CCBN.com, Inc. v. 116 HCT LLC, et al. (San Francisco Superior Court). Defended landlord and property management company against claims by tenant alleging constructive eviction, breach of contract and other liability arising from condition of premises. (U.S. Bankruptcy Court, Northern District of California). Represented founder and former CEO of real estate dot.com company in dispute with successor management and venture capital investors. Wal-Mart v. Town of Windsor, et al. Represented Wal-Mart in dispute with municipality and developer. Resolved dispute without the filing of a lawsuit. (San Francisco Superior Court). Represented charitable organization in suing for breach of trust in connection with historic building in San Francisco’s Japantown. Obtained successful settlement immediately prior to trial deeding the historic home of the Japanese YWCA to a community childcare organization. 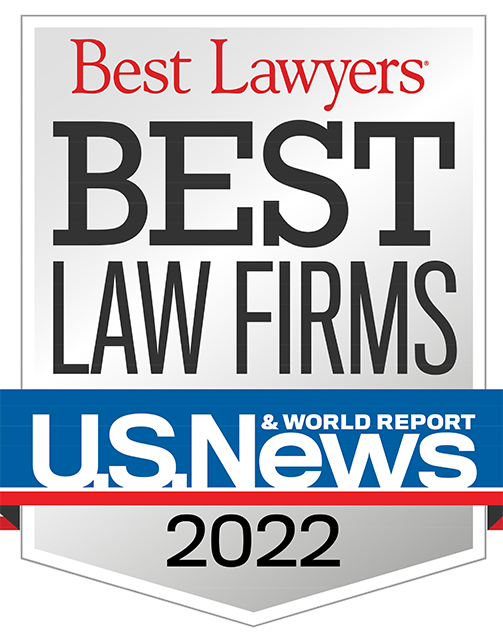 Team leader named as the 2002 California Lawyer of the Year in the Pro Bono category for this case. (California Supreme Court). Obtained injunction permitting high‑rise apartment complex owner to ban door‑to‑door leafleting by tenants association within the complex, defeating tenants association’s free speech and assembly claims. Case is reported at 26 Cal.4th 1013 (2001). (San Francisco Superior Court). Obtained expungement of lis pendens and dismissal of specific performance case blocking $13 million real estate transaction. Case dismissed upon expungement. (San Francisco Superior Court). Obtained settlement in excess of $1 million for owner of office building against tenant attempting to avoid landlord’s profit participation upon subleasing. ZPP-Van Ness Inc. v. BPP/Van Ness L.P.
(San Francisco Superior Court). Defended two developers of a mixed-use property in San Francisco against claims of fraud and breach of contract asserted by a tenant. Case settled after an eight-week jury trial. (Arbitration). Successfully defended general partners of real estate limited partnership against damage claims totaling $1.4 million based on allegations of fraud and mismanagement. Ross Stores Inc. v. LXPI Inc.
(San Francisco Superior Court and California Court of Appeal). Obtained judgment compelling seller to convey real estate for arbitrated purchase price exceeding $20 million. Judgment included substantial damages and corresponding price reduction based on seller’s failure to timely convey the property. (San Francisco Superior Court). Prosecuted claims for breach of contract, non-disclosure, fraud and construction defects on behalf of a property owner who incurred more than $1 million in water damage against the seller, developer, and contractor for the property. Obtained favorable settlement for client shortly before trial. (San Francisco Superior Court). Successfully defended REIT trustees accused of improperly disapproving proposed sale of the company. Case dismissed before trial. Rizzoli Bookstores, Inc. v. K&H Sutter Co.
(San Francisco Superior Court). Collected $1 million for retail tenant in claim against landlord for reimbursement of construction cost overruns. (Maricopa Superior Court). Obtained summary judgment to prevent major shopping center expansion in violation of retail tenant’s parking rights. Judgment led to negotiation of new lease in superior location on advantageous terms for tenant. (Los Angeles Superior Court). Obtained temporary restraining order and preliminary injunction to stop construction of a large apartment complex violating terms of commercial lease. Mediated settlement following issuance of injunction resulted in highly advantageous renegotiation of lease. (Santa Clara Superior Court). Obtained favorable settlement for national supermarket chain in lease termination case involving the alleged breach of an operating covenant and resulting loss of value to the shopping center. (Orange Superior Court). Successfully defended national retailer against lawsuit to cancel commercial lease worth over $2 million based on allegedly unauthorized construction work. (Lake Superior Court). Successfully defended national supermarket chain accused of negligence in construction of shopping center causing substantial flooding in local community. (Washoe County District Court and Nevada Supreme Court). Successfully defended national retailer against alleged breaches of operating covenant, use provision, and radius restrictions in shopping center lease. (San Mateo Superior Court and U.S. Bankruptcy Court for the Northern District of California). Represented lender against developer defaulting on $2 million undersecured acquisition and development loan. Lender paid in full. (U.S. District Court for the Northern District of California). Represented and obtained favorable settlement for the owner of the Embarcadero Center and other office buildings in San Francisco against claims by energy systems contractor arising out of aborted energy retrofit contract. Resolution Trust Corp. v. BVS Development Inc.
(U.S. Court of Appeals, Ninth Circuit, and U.S. District Court for Eastern District of California). Obtained Decree of Foreclosure for client, Resolution Trust Corporation, allowing RTC to proceed with its judicial foreclosure sale and obtain a deficiency judgment. Affirmed by Ninth Circuit. Decision includes important language concerning RTC’s removal rights, and limitations on the duty owed by lenders to subordinated sellers. Case is reported at 42 F.3d 1206 (1994). Merrill LLC v. Navegar Corp.
(San Francisco Superior Court). Successfully pursued premises liability claims against the building owner and security company on behalf of a shooting victim at 101 California Street in San Francisco. Obtained favorable settlement prior to trial. (San Mateo Superior Court). Successfully prosecuted inverse condemnation and negligence claims for property damage after a city-owned water main burst, causing a flood on an auto dealer’s premises. Obtained favorable settlement for client.